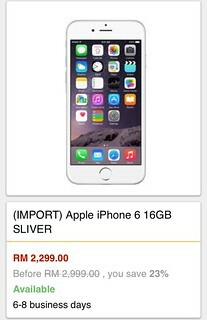 The online grey importers' pricing are not that bad. These were from Lazada and Groupon. If you haven't yet figured out how much would a no-contract iPhone 6 pr iPhone 6 Plus cost you, here are the list of prices for US market together with the prices for our closer neighbour, Singapore. 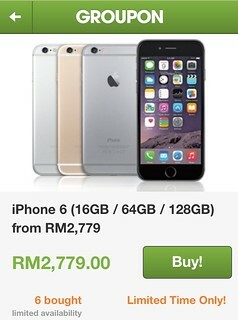 Needless to say, these prices put the new iPhones among the most expensive smartphones on the market. With the iPhone going into the 5-inch display territory, we can expect the Cupertino based phone maker to regain some lost ground here. I was hoping the iPhone 5S came with at least 4.7" display; it never did. SESB not to blame for soaring house price?